A little while ago I was talking to my friend Parysa, she was telling me about having IPL hair removal in Whitely, Hampshire. She said it was brilliant, cheap and not too painful! I immediately contacted Jodie's IPL Hair Removal and Skin Rejuvenation. I've had four treatments so far and seen a big difference already. I decided to go for underarms and bikini line in a "mini zone" package which is £32 a treatment, but you can do "go hair free" for £50 a session and she will do everything! When I first went to Jodie's treatment room, I was struck by how gorgeous the decor is! Everything is white, clean and fresh. It's an intimate little room and very clean. 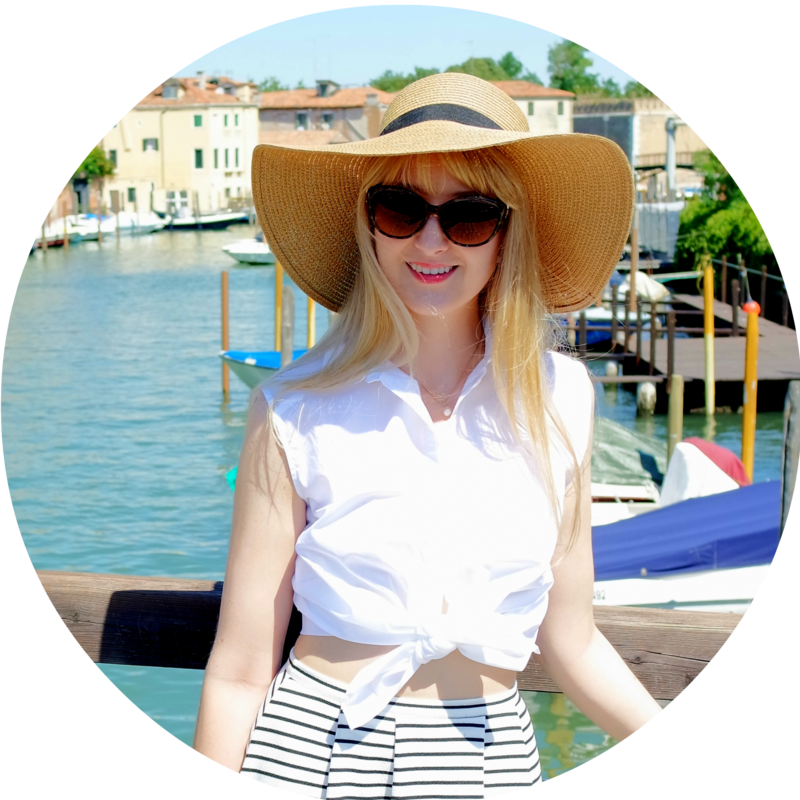 Jodie explained everything really well in the free initial consultation. She gave me a big fact sheet and had so much knowledge on the IPL machine. Basically (from what I remember) it works by making the little capillaries around a hair follicle get really hot and die off. The hair then falls out and sometimes stops growing. It needs several sessions for the follicle to die or be shut down completely. Jodie talked through how the sessions would go - they are every four to five weeks for a few months until she notices a certain number of changes, and then they can be stretched out to longer and longer periods until you don't need to have any more treatments. 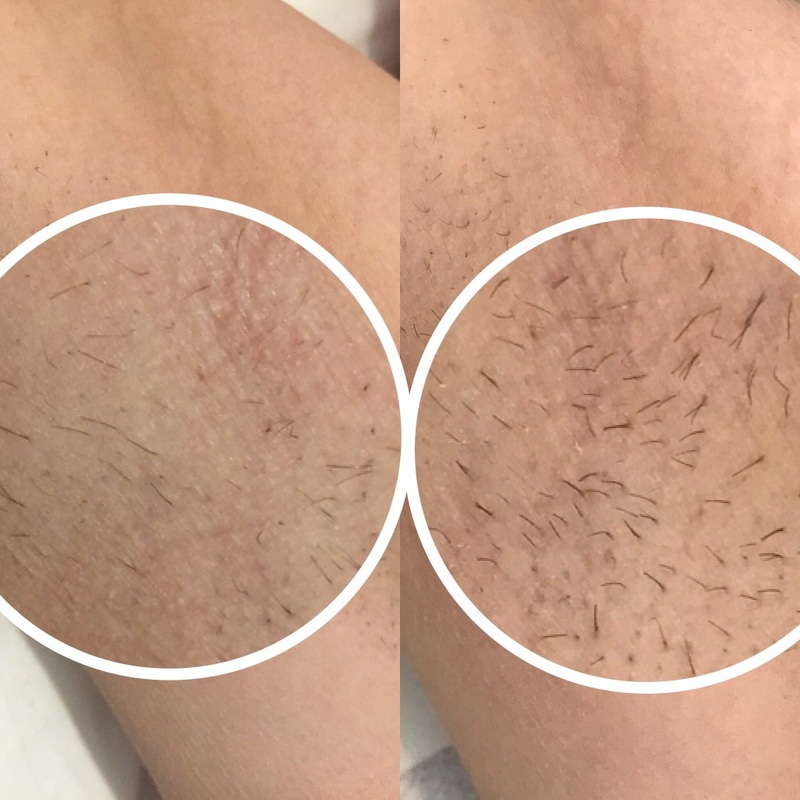 IPL isn't permanent hair removal, but it does really reduce hairs until it appears there are none for long periods of time. As the areas I am having removed are hormonal, I might need to go back for a top up treatment once every year or so if I wanted to. The treatment takes barely any time. Jodie is SO lovely and very good at putting me at ease. (she also has an amazing memory and always remembers my gossip from the last time I saw her!) The hairs have to be a certain length, and she uses this as a guide to see what areas she has covered. She uses an ice pack to cool the skin and then zap! A bolt of the laser is directed at a small patch. It can be a little painful in the more intimate areas, but it's so quick, like being snapped with a hot elastic band. It's bearable and the sensation goes so quickly. Areas like underarms are less painful than waxing. So photographic proof is here. On the left is how my underarm looks now, compared to when I first started going in June on the right. When magnified you can see there are less hairs, less dark follicles and the hairs are getting thinner already. I used to shave my underarms every day and they would get quite sore and red. Now I only have to do it every 2-3 days and the hairs are so much thinner and growing more slowly. I've never been a sweaty person, but I'm told it also reduces sweating. I haven't had skin rejuvenation yet - I am suffering with really painful cystic acne at the moment but Jodie had a good look at my skin and said I wasn't ready for it yet. She gave me lots of tips on managing upset and healing skin (and snapped me off a big bit of her aloe vera plant for me). Although I was disappointed it wasn't the miracle cure for me yet (maybe when the acne isn't so active), I thought it was wonderful that she's so honest. She could have said yes and I would have thrown so much money at her for a cure, but she gave me her expert advice and I'm glad she did. So far, I'd recommend IPL hair removal. If you're in Hampshire I would REALLY recommend Jodie (and if you go to her on my recommendation, you and I will both get £10 off our treatments). Give her a little follow on Facebook. Please note I am not being paid or getting a discount for this post. I am really recommending this! Unwanted hair can be problematic, Waxing and shaving are all this method not permanent solution. 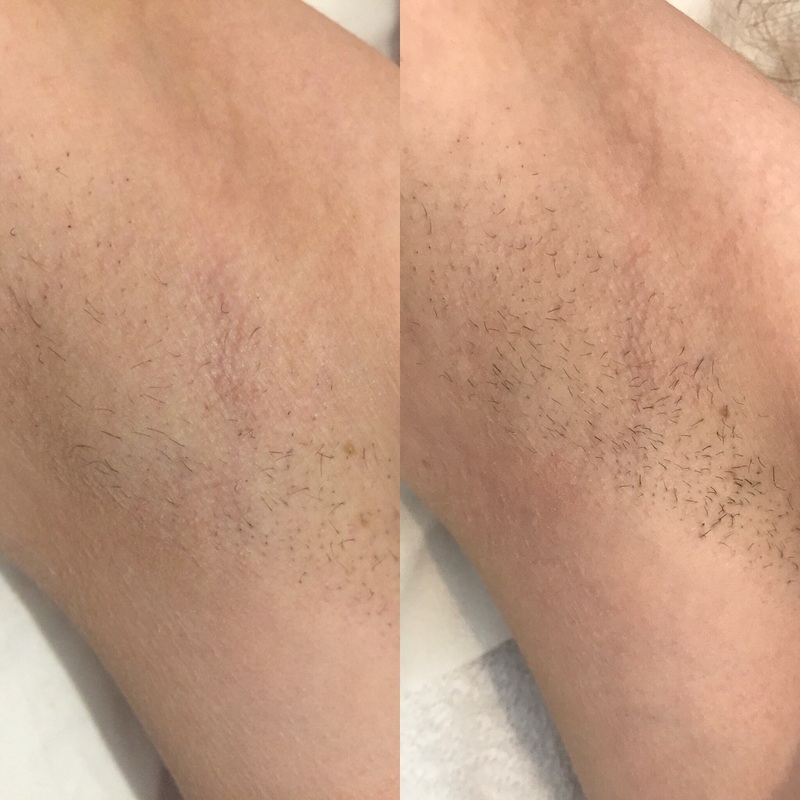 I will suggest youbest laser hair removal because, this method effective and modern. laser treatment is one of the most popularprocedures. various women shaving methods for underarm hair removal. but I think it depends on the different skin condition to decide the suitable method to use, most importantly to maintain the skin health and free of symptoms after the hair removal process.